The Yorkshire Terriers doll-like appearance and size are somewhat misleading, for this is not a meek dog. Yorkies are confident, independent, and bold. At one time the Yorkie was a distinguished hunter of rats! But with those wide eyes and that lovely blue and tan coat, they are undeniably darling. 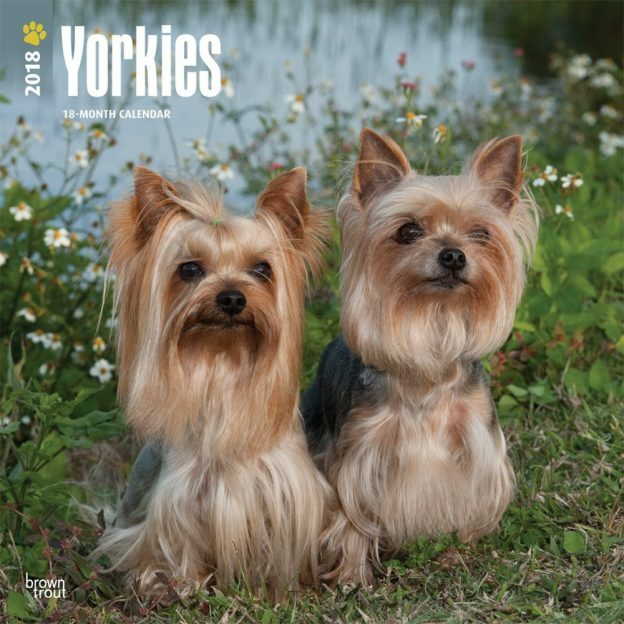 Yorkie fans will adore this international version calendar, which features only Yorkshire Terrier images with undocked tails. Includes a free download of the DogDays app for the smartphone and tablet, which grants access to the worlds most captivating dog photos and backgrounds, fun puzzles, and a calendar featuring your favorite furry friends. This entry was posted in Dog Breed on December 10, 2017 by dogdaysapp.